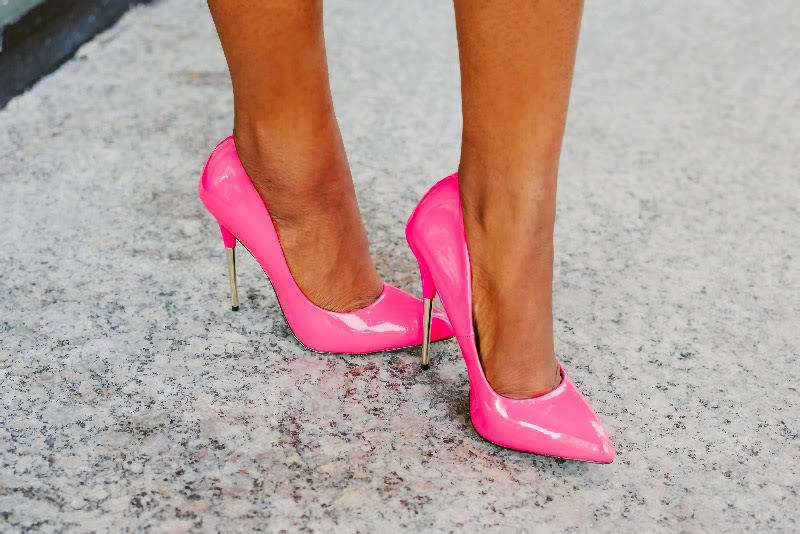 Pastels and Neon for Spring? It is finally March and as our hopes of Spring and warm sunny weather are heightened, Mother Nature remains relentless in her icy treatment. Will she ever get the hint? But before I veer off into major tantrums about how positively sick I am of Winter and snow, I would get off the topic. Needless to say, I cant wait for Spring and the chance to wear bright happy colors again. It is a great time to start getting your Spring wardrobe ready as new Spring pieces hit the stores. Hopefully this outfit inspires your sartorial choices; a colorful pastel moto jacket to keep you warm on chilly days and a perfect topper for a cute dress. This spring, don’t be spy about infusing color into your wardrobe through colorful heels and dresses. Try a pastel and neon number together, you might be surprised by the results.